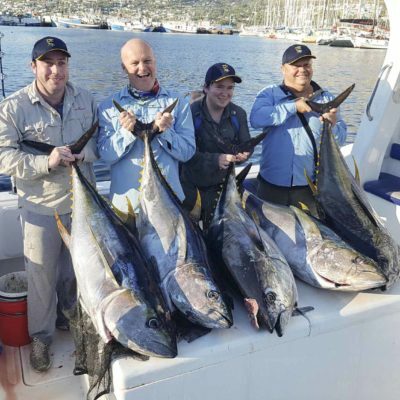 This fully equipped Yellowfin Tuna fishing trip targets the four different types of tuna available in the rich fishing grounds off Cape Town including the prized yellowfin. 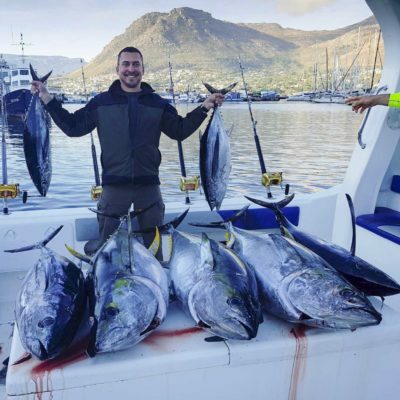 Set off on your expedition with the benefit of expert local knowledge and years of experience in the Cape waters to guide you to that prize tuna you’ve been waiting for. 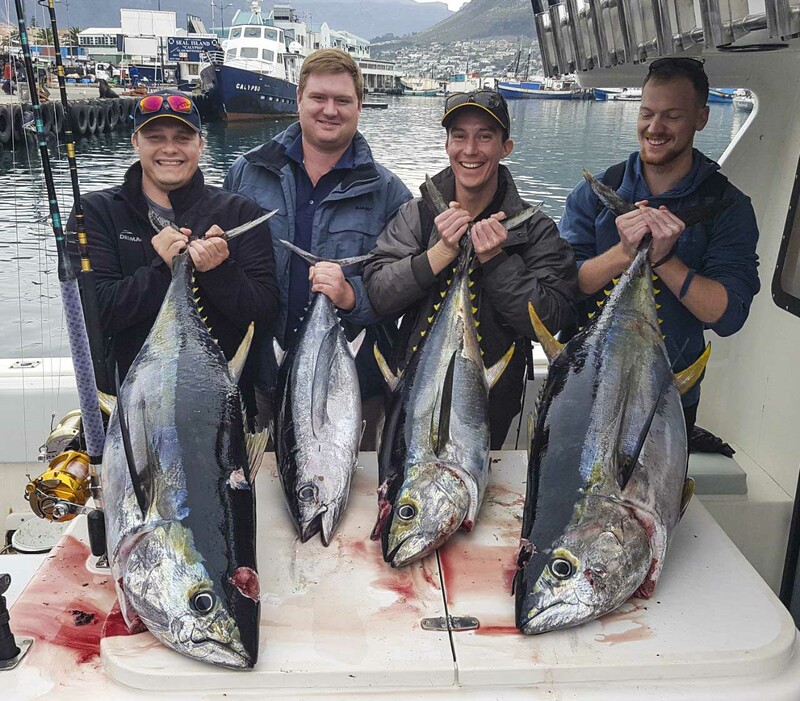 Experience the thrill of Yellowfin Tuna fishing off the coast of Cape Town with our Tuna fishing charters. This is a full day deep sea tuna fishing charter for 1 to 4 people and leaves between 6am and 8am returning in the afternoon between 4pm and 6pm. Enjoy a wide diversity of marine life on the way to the fishing grounds with dolphins, Orca whales, sea birds, Southern Right whales and other sea life regularly spotted. The Tuna season runs from September to June, with the best times being generally at the beginning and end of the season. Fishing takes place between 20-50 miles offshore depending on the weather and ocean temperature. Boats are custom designed for the Cape waters, come fully equipped and have toilets. Bring your own warm clothing and white soled, closed shoes. Guests keep part of the catch! price is per boat and can accommodate 1-4 clients.